Let me start off with a disclaimer: These are lessons from a healthspan maximizer with no medical background, me. For more academic details, check out the video archive or the event feed. I’ll stick to impressions and higher level takeaways. I’ll update this article as time permits, but one thing I can say already, our understanding of aging and our ability to intervene in its processes is about to undergo a transformation by the 6Ds of tech disruption. So what’s a guy like me doing at a conf like this? Many assume I’m looking for tricks to use privately, and of course, there is some truth in that. I have learned about a few up-and-coming companies and services that could help, but mainly this conference has been about research and results. In fact, Aubrey de Grey said this in his closing remarks, that Undoing Aging is the biggest science and research focussed conference in the field. I hope to benefit from listening to all these in-depth talks by becoming better at separating the snake oil from the real deal as I return to my everyday life… hacking my healthspan rational optimist style. 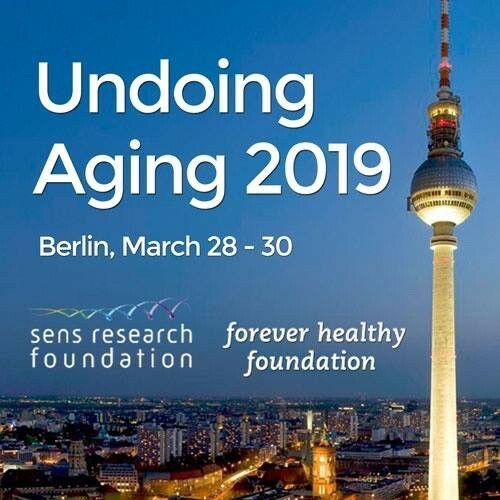 And then there are the benefits of conferences in general, to be inspired by all the like-minded people who also believe that aging can and must be defeated, and to get to concentrate on the subject uninterrupted. Now I’ll try to sum up my learnings from the conference, but keep in mind these will be rather high level. An obvious, but the important takeaway is that there is no single solution to undoing aging, but as aging is an accumulation of damages, it can be dealt with either in a preventative or reparative way.